Last year was our first go at homemade wine, but my husband made and stored it at another location. The only part I was involved in was the drinking. We made two varieties of New York whites: Cayuga and Diamond. Both are sweet, which is what we like. They came out fantastic and we were super pleased. This year my husband decided to make two reds in addition to two whites. 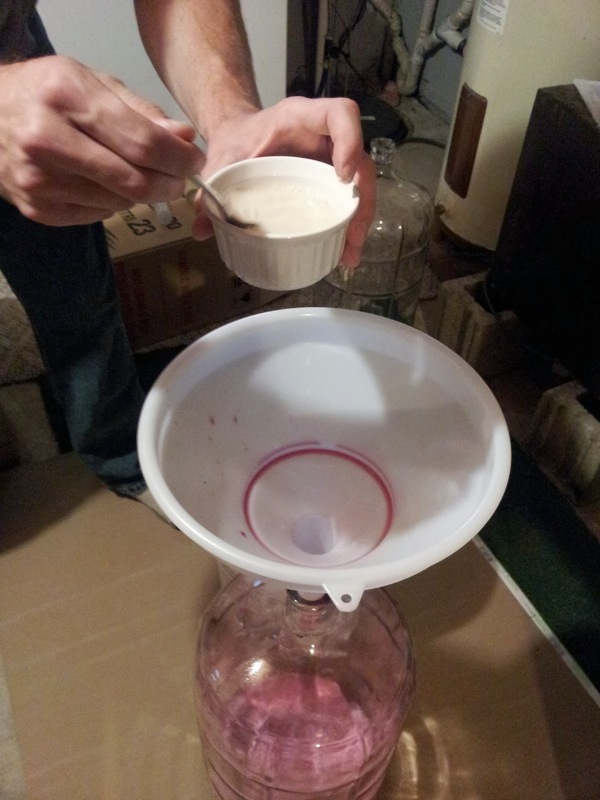 At the last minute he decided to bring the supplies home and set up the wine making in our basement. Finally! I got to be involved in the actual making, not just the drinking. He did the day one steps before bringing the juice home. All I know is it involved little pills that kill the natural yeast. He brought home 4 buckets of juice, which we opened and covered with towels overnight. You can see the bubbling action the next day. 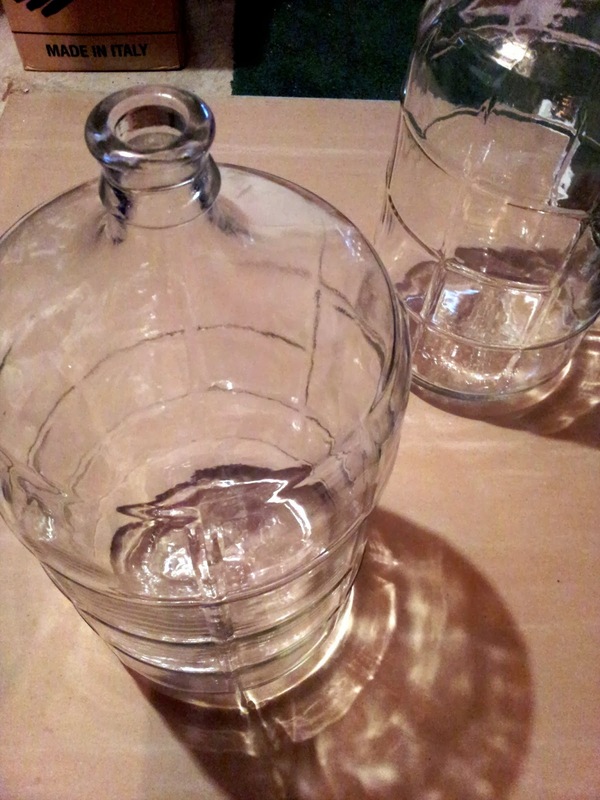 Brand new carboys ready for the reds: Cabernet Sauvignon and Ruby Cabernet. Adding the yeast. Not pictured: adding the sugar, because it was a two person job. He poured the juice and I poured the sugar at the same time. 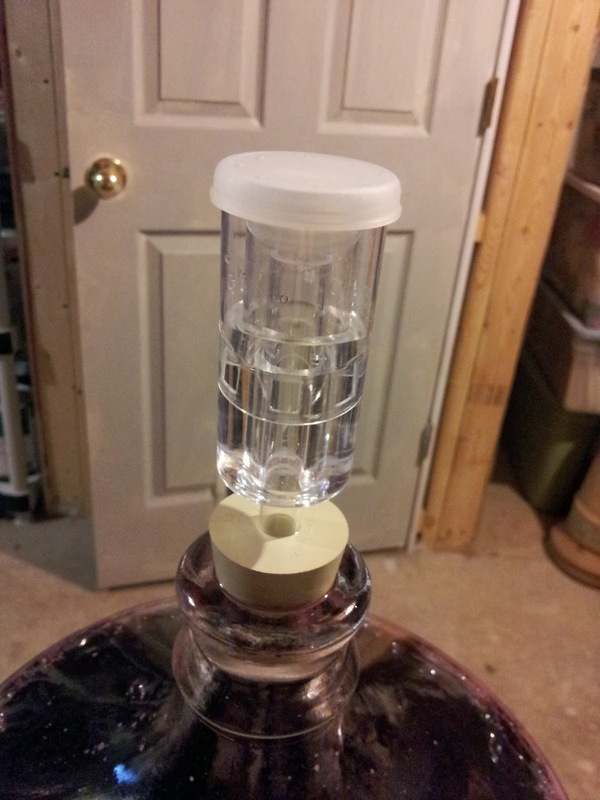 The last step was inserting the aerator. It immediately started what looked like a rolling boil. So cool! We can taste it in a few days (small tastes), but it won't be ready to bottle for another 3.5 months. We can't wait! The juice for the whites will be ready in a few weeks and we'll repeat the process with those. My Dad used to make wine in our basement when I was a kid. In the fall, he used grapes or apples, but in the spring, he'd make wine from dandelion flowers. He'd send us kids out with buckets to gather them. I've heard about dandelion wine, but I've never tasted it. I imagine it would be very bitter? 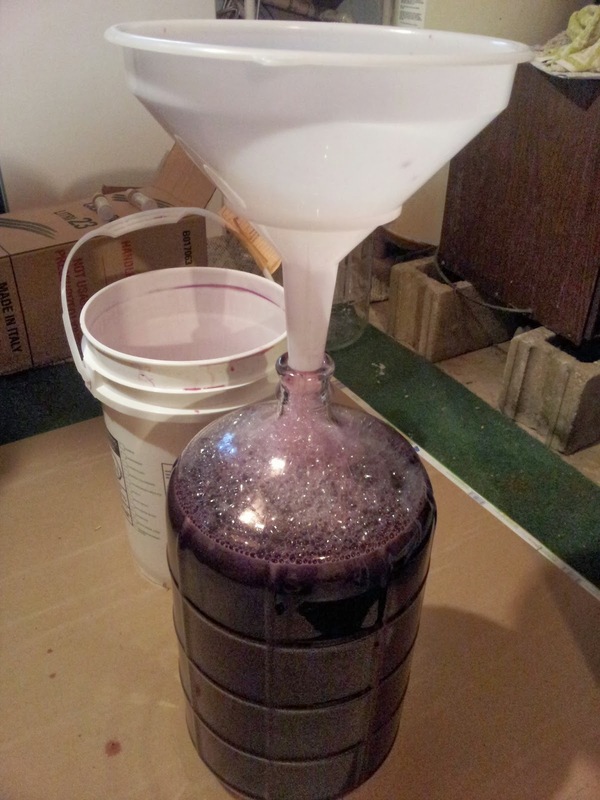 I used to make wine, and had some old carboys from that. Hope it turns out good. Mine was very sweet (but I didn;t mind.) 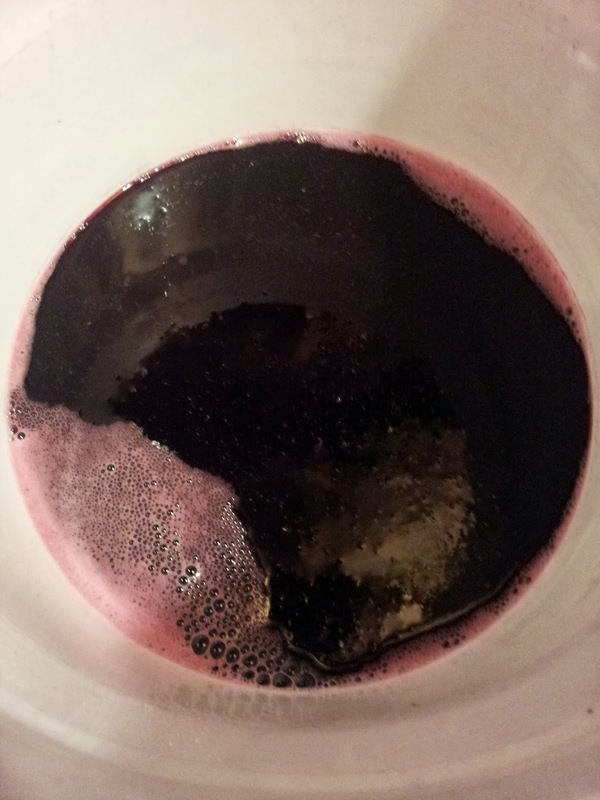 I made grape wine from wild grapes and dandelion wine. No dandelion wine is wonderful and not bitter. The flowers make the wine yellow, but you also put in lemon and orange juice and sugar.